Some words are used interchangeably. This certainly enriches a languages by giving it alternative ways of expressing the same idea — or so it is believed! Not so. An idea, object, or event (three different non-alternative entities!) may go under different names, as when a married woman refers to herself both by her maiden and her husband’s name, or when a person is described as married or wedded, or a diamond is described as a stone or gem, or an engine-propelled boat is referred to as a steamer or liner. In some cases the names were wrought at different times and their names reflect this. 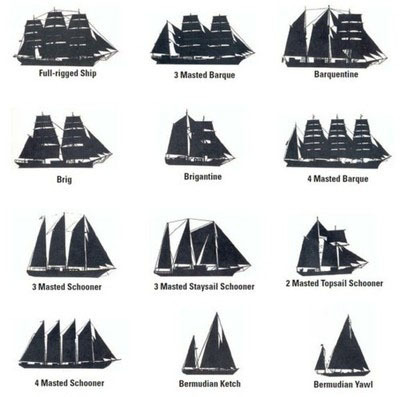 A steamer clearly is a boat whose engines are driven by a mechanism whose pistons are moved by steam which is produced by burning coal or oil, whereas a liner is a bigger boat whose propellers or pressure operated valves may be moved by turbines and which carries passengers across oceans, not on rivers and lakes. Language can be so rich — grammar arid. A clarification as a device tells us, in words we are expected to understand, what an unknown or ambiguous word or expression could mean and what it probably means in the context provided. A clarification may ease us into understanding a sentence in which the problematic word occurred! It does not scream at us “You used the word or expression incorrectly, falsely, heinously!” but indicates that we trespassed on an existing good usage of a word. It says: “No! it is no a liner, but a paddle steamer”. It has explained, has clarified that the word used was not the best word to use under the prevailing circumstance, and hereby opened alternative choices to us. A definition assigns a distinct, preferably unique meaning to a word. It is a legislative act whose purpose is to limit the use of a word, to restrict its range, and to decide — once and for all — how it is to be used in all conceivable contexts. It involves taking the analogy out of language! This brazen objective is rarely realised by the definer — and when successful, it is usually not for long because, words have a way of shedding their tethers. The best examples of this are found in advanced natural sciences, where each discovery is named, baptized. What is a hadron? It is not for eating yet, but tomorrow some enterprising entrepreneur may come up with a product, name it “hadron” and flood the marketplace with this delectable mushy chocolate-tasting, non-fattening, gluten-free imitation chewing gum! Clarification, however, is entirely different from definition. One selects a concept and its term(s) that already exist, which may in fact be quite widely used — as hadron is in particle physics — and may have a history of use in a variety of contexts. One then shows in what manner the concept has been employed, what alternate terms are already in use for it (for it is not unique) and in what manner the term can be extended from its literal to many new figurative meanings. One also tries to point out what implication the term may have, or may have acquired over its long period of use. The term has a history — which may help contribute to its interest. Thus, in clarification one performs an analysis not a dissection of the term, and one should not be over eager to give a term which may already be rich in meaning, a singular unique meaning, except for the nonce. It seems to me that philosophers are in the business of clarification — at least some are. Clarification may bring enlightenment, broaden the understanding of a concept whereas clarification may help to throw it into stark contrast to other ideas, to which it is related. One benefit is that it may add wisdom, a quality many of us seek but few attain. Wisdom is not discovered like a pebble on the sands, but is the outcome of an inquiring mind that seeks a better understanding of how different aspects of their experience can be interconnected to yield a special perspective on the world, a perspective which the person may then share with others. In summary: Definitions deliberately restrict and often do so for justifiable reasons, whereas clarifications expand our horizons and promote our understanding of individual experiences and our shared world. One can do both, yet recognize that each has its separate place in the order of things.